It Depends – What I learned in my 11 years as a club volleyball director and coach. What I learned in my 11 years as a club volleyball director and coach. Anecdotes from a decade of club volleyball. 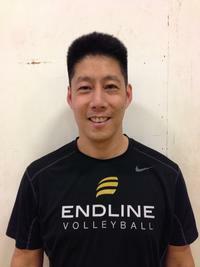 I'm happy to be able to use this space to share some memories, stories, and what I learned during my 11 years as a coach and Director of Endline Volleyball Club. I am so fortunate to have had the privilege of working with and learning from the players, families, coaches, and supporting staff we've had over the years. It was truly a team effort and I will forever cherish the memories we created together. I am sad that Endline Volleyball Club is no longer operating, but I'm hoping that the spirit of of the club can live on in the stories being told here.